Jim Reuter began serving as the Deputy Associate Administrator for Programs within the Space Technology Mission Directorate (STMD) at NASA Headquarters in August 2015. In this capacity, Reuter provides executive leadership and management of the technology programs within STMD, with an annual investment value of $700 million. 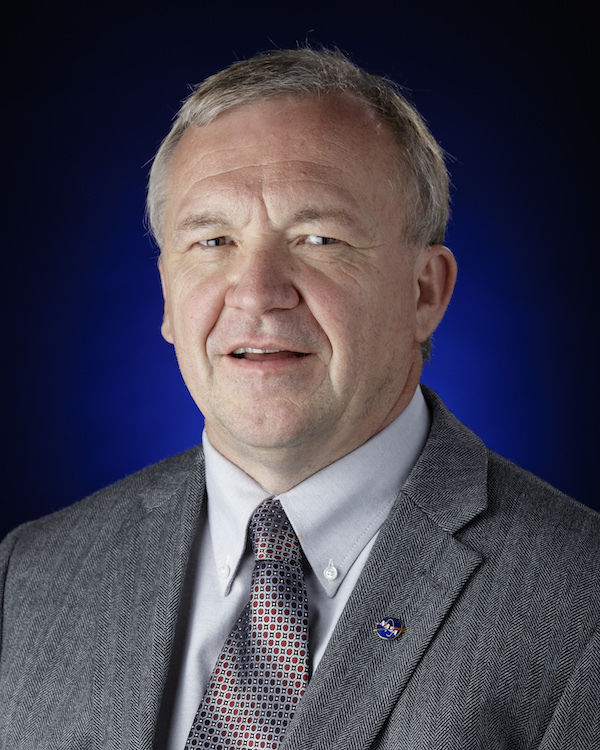 He is responsible for budget planning and allocation of resources, and serves as the final decisional authority for project content, ensuring that technology investments align with the NASA Strategic Plan and Roadmaps. Prior to this role, Reuter served as the Senior Executive for Technical Integration in the Center Director’s Office at NASA’s Marshall Space Flight Center. He was responsible for technical oversight of development initiatives, providing strategic leadership and expert counsel on concerns related to the management of critical technology and integration activities. Additionally, Reuter served as the Exploration Systems Division (ESD) Standing Review Board Chair, responsible for overseeing development activities of the Space Launch System, Orion Multi-Purpose Crew Vehicle, Ground Systems Development and Operations Programs, and the ESD integration activities. He also led the Asteroid Redirect Mission Integration mission concept review. Previously, Reuter served in many managerial roles at NASA, including the Ares Projects Office, the Space Shuttle Propulsion Office, and the Space Shuttle External Tank Project Office. In 2002, he was the Deputy Director for the NASA Headquarters Space Transportation Technology Division in the Office of Aerospace Technology. From 1994 to 2001, he was manager of the Environmental Control and Life Support System Project for the International Space Station at NASA’s Johnson Space Center. Reuter began his NASA career in 1983 as an aerospace engineer in the Structures and Propulsion Laboratory in Marshall’s Science and Engineering Directorate. Reuter has a bachelor’s degree in mechanical engineering from the University of Minnesota in Minneapolis. He has received numerous NASA awards and honors, including four NASA medals, a Silver Snoopy Award and a Space Station Award of Merit.